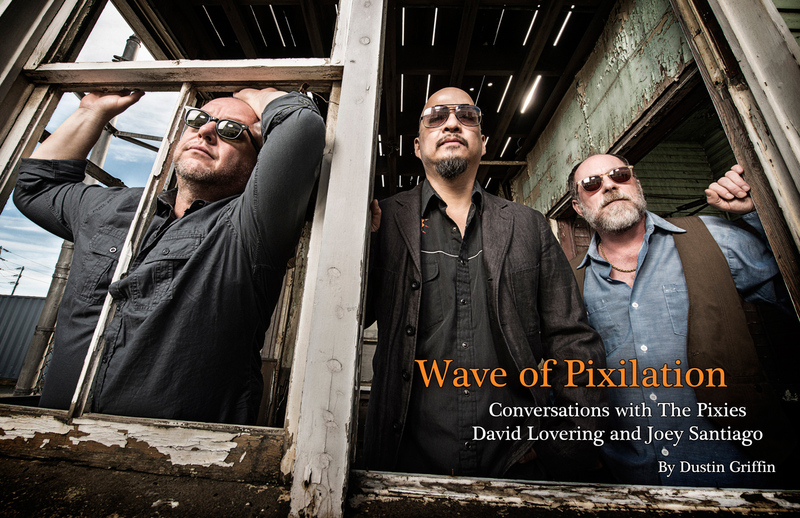 David Lovering and Joey Santiago about the Pixies past, present and future. I wanted to talk about Doolittle a bit first of all. It just had its 25th anniversary. At this point it has transcended all expectation and become not only a truly timeless record, but one of the most influential albums of the 90’s at least. Does it ever stop amazing you how much this record means to people? David: Yeah, it’s crazy how much Doolittle has given and become. It was new to me when they told me it was the 25th. I thought ‘whoa, another one?’ (laughs) I mean to be honest with you, it was just like any other album at the time. We did an album and were very happy with it and that was it. It’s funny though, when Rolling Stone first reviewed it, I can’t remember what they gave it, but it was a poor rating and around the time of the reunion in 2004, they re-reviewed it and gave it five stars (laughs). I know it was a long time ago, but do you have a particularly fond memory in regards to the making of that album? David: Well a particularly fond memory of that time was at Thanksgiving and Gil, our producer, cooked us all a turkey. It was our first time as a band away from home like that. It was in a studio in Connecticut, so everything was new and exciting and all the memories I have of those days are quite fond. I saw you guys a few years ago play Doolittle in its entirety in Vancouver when Kim (Deal) was still in the band and it sounded amazing. Better than the record even. How much pressure is there on you guys as a band to be able to not only replicate the songs on the recordings, but give them that extra something special in a live venue? David: Well with the Doolittle tour, what happened with that was it finally gave us the chance to play the exact same thing over and over and over again. We’ve got a lot in our catalogue and there’s a lot to pick from, but with that tour, it was interesting playing that album because we wanted to replicate the album. And as a result of playing it every night, we got really good at it. Are The Pixies a live band first and a studio band second, or vise-versa? David: Definitely a live band first. Well, when we’re playing really well I’d say a live band (laughs). A live show is where all the energy is, the studio is a whole different beast. Have your pre-show warm up rituals changed much in the last 30 years? David: (Thinks)… No, I think it’s remained pretty much the same. The only thing that’s changed in the last six or seven years is now there’s these large military drum sticks that have a rubber ball on the end. So you can play them on anything and you’re not going to make any noise or disturb anyone. And because of the weight of the sticks it’s kind of a workout. So those have made warm ups more beneficial than anything I’ve done in the past. This might be rhetorical question, but does the feeling of being on stage ever change? David: Well I don’t take any of it for granted. But, our first show I remember was really nerve wracking. And our second show was in London and that was a really eye opening experience because that was the first time we saw the audience’s reaction to us as a band. 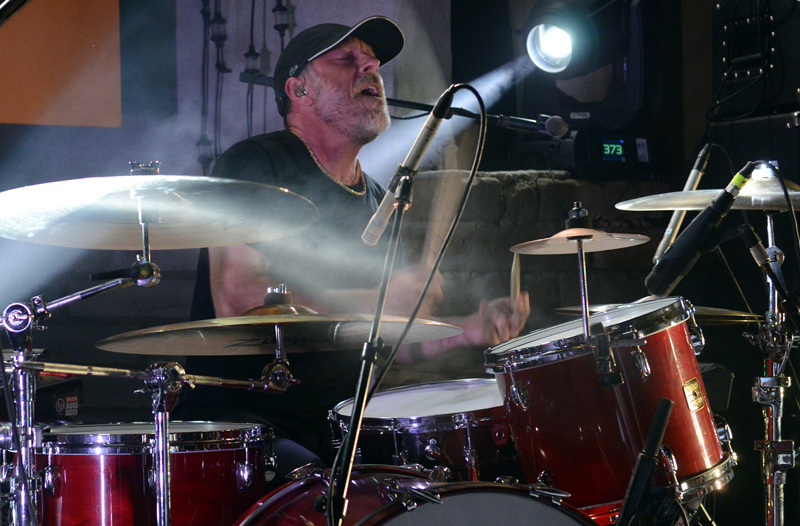 Since then, I mean I’m the drummer, I’ve got a bit of separation between myself and the audience. So the nerves aren’t there anymore and I just love playing live. That’s what I love to do more than anything else. I don’t like recording. ‘Indie Cindy’ was a really good recording experience, but it was the first good recording experience I’ve had in a really, really long time. Fast forwarding a little bit. I know you’ve talked about this endlessly so I won’t spend too much time on it, but can you just tell us how close the Pixies came to ending again when Kim left? David: Yeah, there was some talk about it that evening. At first there was just shock. We didn’t know what to do and that was it. But the three of us, over the course of the night just banded together and talking about carrying on. But there was shock for awhile. We didn’t know what to do. Has that caused you, Joey and Charles to become closer, both as band mates and friends? David: I think we have. Definitely. We’re just coming off a long tour and heading out on another and it’s just been very enjoyable and very comfortable. I want to talk about Indie Cindy a bit as well. During the recording process, did you feel the same electricity for the material as you had with previous records, or was there more trepidation this time around? David: There wasn’t trepidation as far as it being something we wanted to do. But where there was, was that these would be the songs that would follow something we had done a long time ago. So we knew we had to like the songs. And some of them were even written in the studio. But yeah of course we were scared. We weren’t sure what most people would think about it. But we still felt and feel we’re a vital band and are going to continue on doing this. Are there many songs left over from those sessions that are waiting to see the light of day? David: Yeah. ‘Indie Cindy’ is made up of about five years of ideas that were floating around. And in fact, just two weeks ago we were going over some other new songs. But there’s a few things that we just brushed on while doing the ‘Indie Cindy’ stuff. David: We’re taking it a step at a time. We’re doing something right now that we haven’t done since we were a smaller band. And we’re working on new songs, but we may play one or two a night of those newer songs that no one’s heard. And this is what we used to do when we were doing ‘Come On Pilgrim’ and ‘Surfer Rosa.’ Just playing a lot and trying to iron out songs. And this is a good way to do that. It’ll be a good exercise for us to see what will happen next. I wanted to ask quickly about your other passion. I know from the documentary that you’re a magician. With The Pixies being more active these last few years, have you been able to keep up with that? David: It’s been a little tough. I haven’t been able to do a stage show. I still have a stage show, but between being a Pixie and a father of two, I’ve haven’t had time. Luckily The Pixies have been busy enough to be able to afford me a career. But I still do magic backstage, or in restaurants or bars. I like that kind of magic anyway. Intimate magic is much more powerful. And more fun. Absence makes the heart grow fonder. And while the Pixies were absent the heart grew very fond the world over for the band. 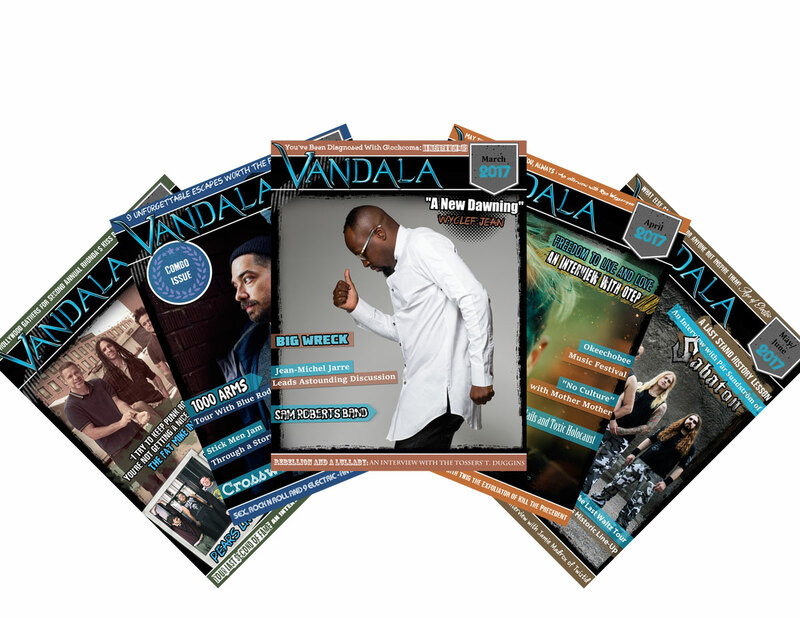 Do you ever worry that with being more active and releasing records and touring and all that, that it might dilute the legacy or mystery of the band at all? David: It’s interesting. From what we’ve been doing so far, and the kind of offers we’ve been getting and the kind of shows, we can judge where it’s going. And we can still attract an audience. We’re not going to push it, obviously. We would like to have some decorum over what we do. But, I just think we have good songs. And we have more good songs to follow. Musicians have to sacrifice a lot to be a band. And the bigger the band, the more they sacrifice. With all the sacrifices you’ve had to make over the years for this band, what do you hope the legacy of the band will be after you’ve played your last show? David: Oh wow. You know, I just always attribute everything to good songs. If the songs are good, the band will live on. And everything isn’t timeless, but hopefully people can appreciate it for what it is.